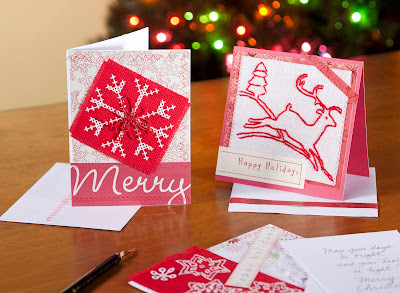 Do you make your own holiday cards? If you enjoy stitching up some unique cards for Christmas here are a few free patterns available from the Joann's Blog. The free patterns are for a deer with tree card, three snowflakes card, and a cross stitch snowflake card. For more free Christmas card ideas pattern check out the list below..
Make your own cards with these free pattern ideas! Get started now!